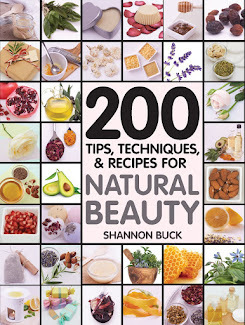 I like to buy most of my ingredients from Mountain Rose Herbs!!! They have some great ingredients!!! Many Middle Eastern stores sell rose water. 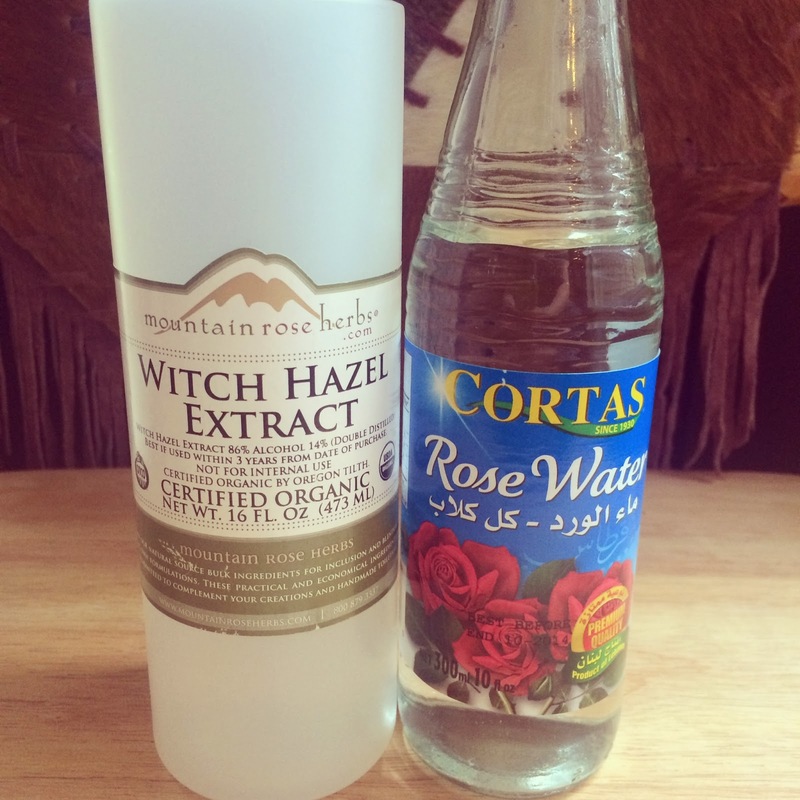 I like getting the Witch Hazel Extract from Mountain Rose Herbs. 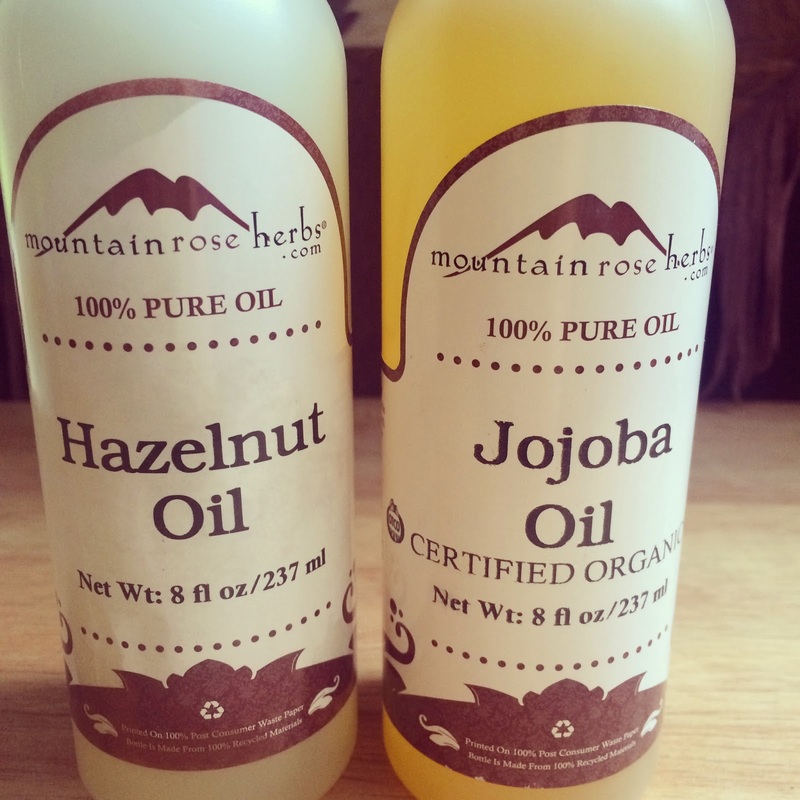 I got both of these oils from Mountain Rose Herbs and they are both great for oily and blemish-prone skin types. 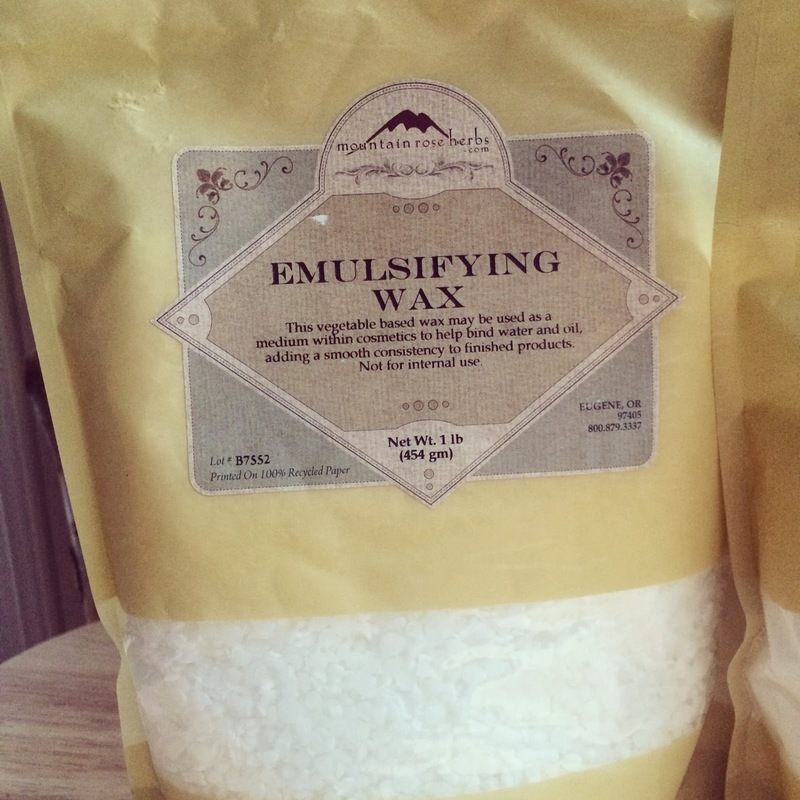 My favorite place for Emulsifying Wax is Mountain Rose Herbs. 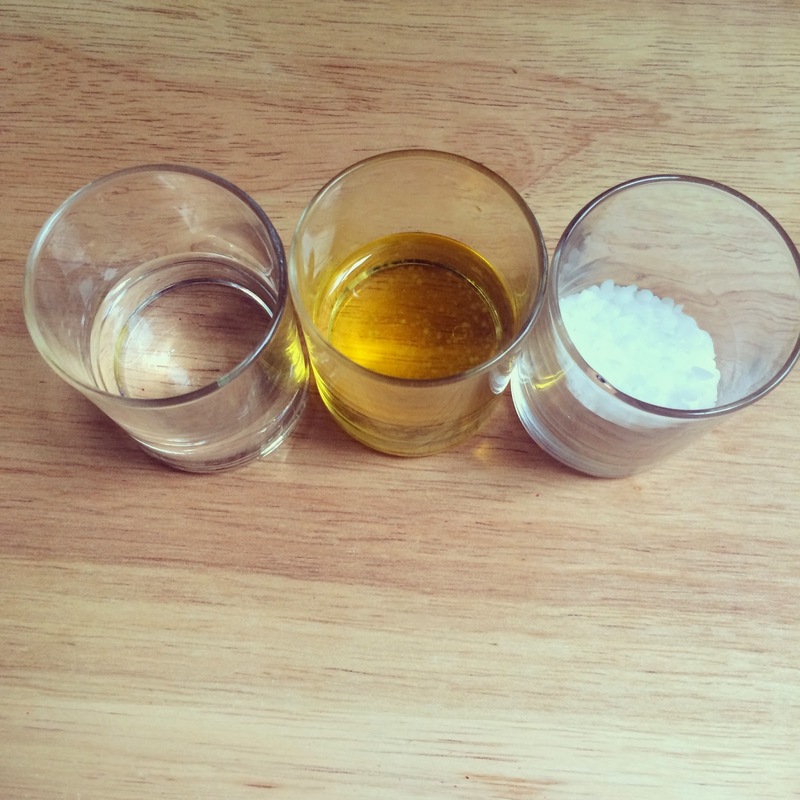 Measure out the ingredients into three separate containers. 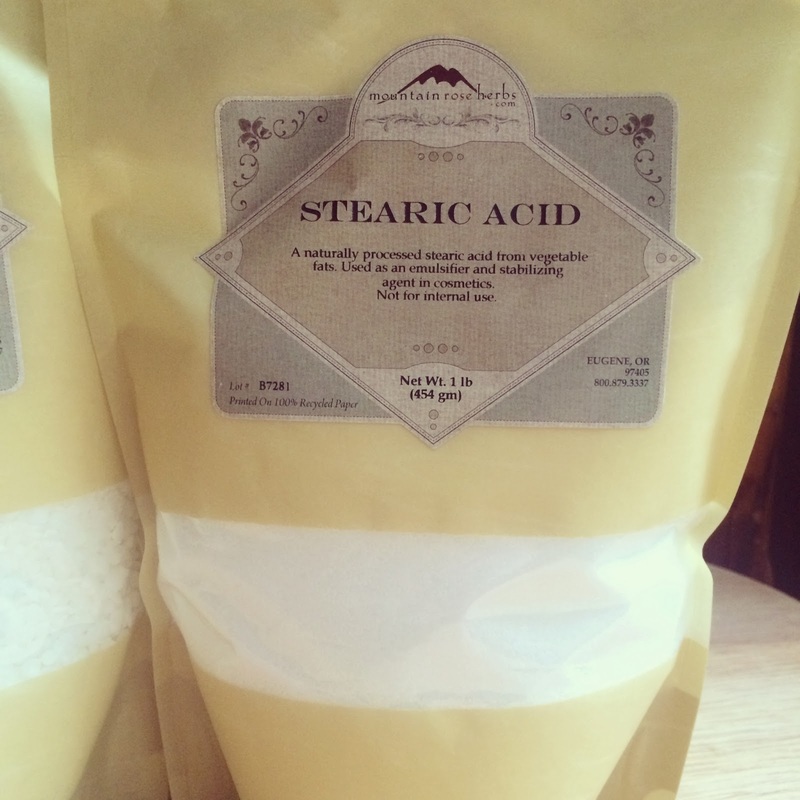 The Witch Hazel and Rosewater in one container, the Jojoba and Hazelnut oils into another and the Stearic Acid and Emulsifying Wax into another. Bring a pot with about 3 inches of water to a simmer. 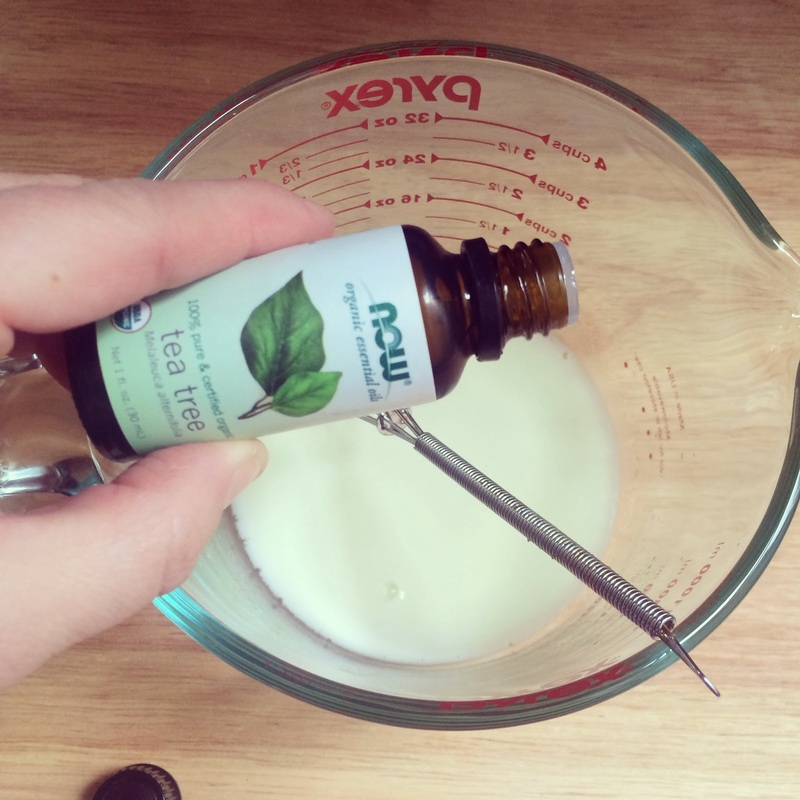 In a glass measuring cup, pour in all the ingredients. 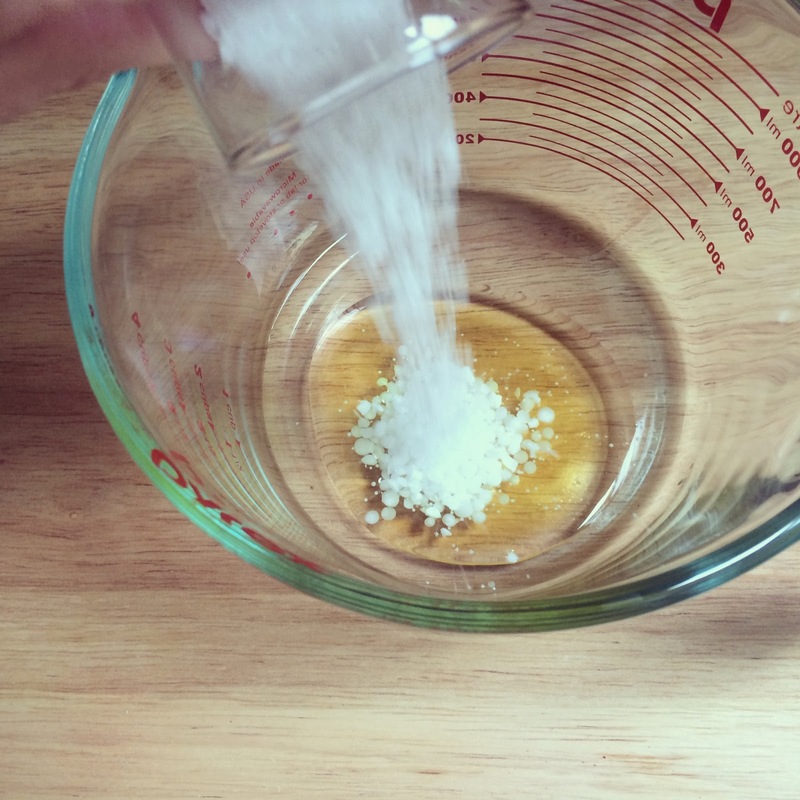 Place the measuring cup into the simmering water and allow the waxes to melt into the other ingredients. 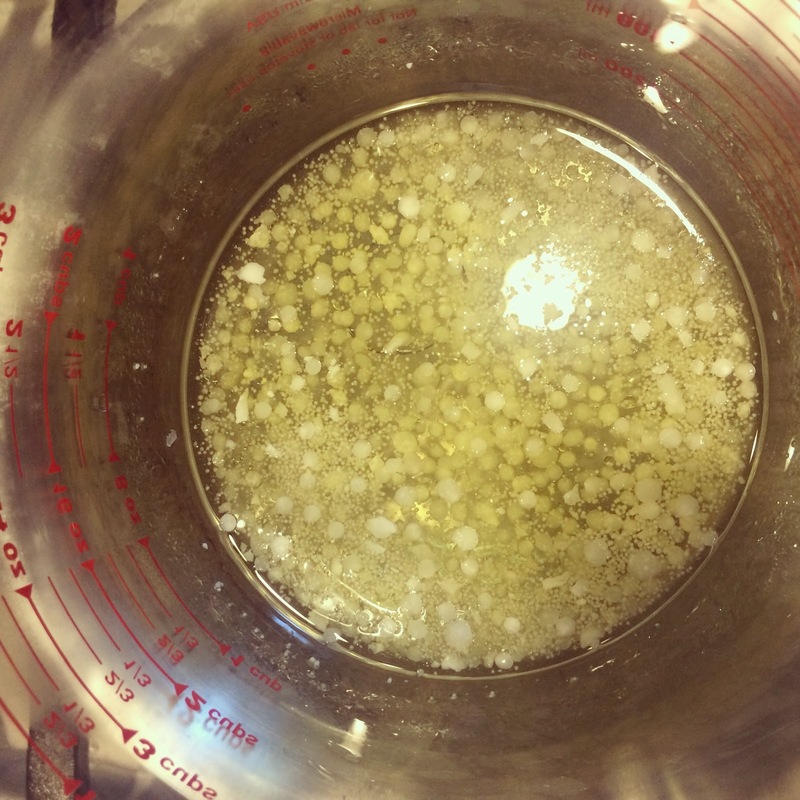 As the wax melts, it will start to emulsify the ingredients together. 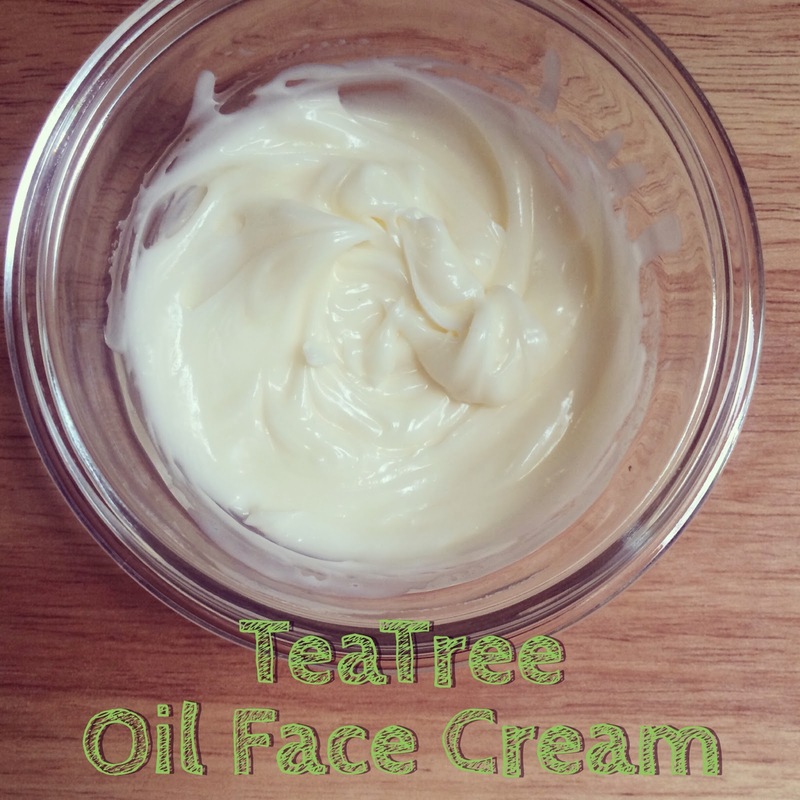 The mixture will turn a creamy white color and all the wax will be melted. Remove from the hot water and start to whisk for about 5 minutes. 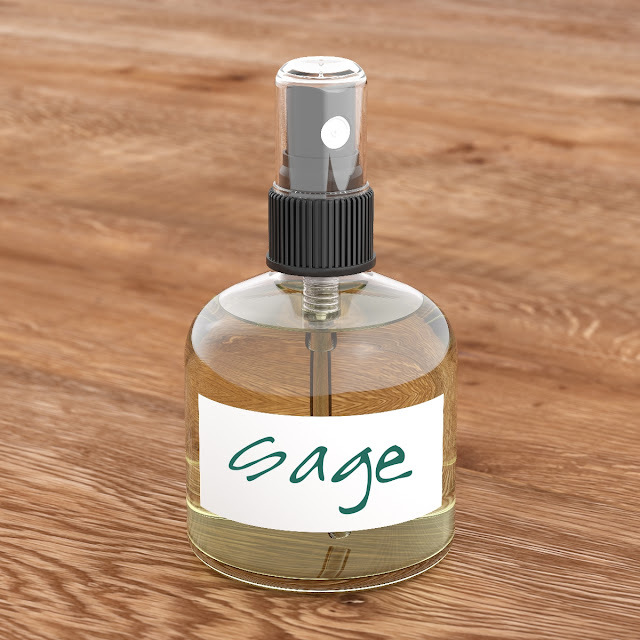 Add in the essential oil, mix well and pour into a sanitized glass container. 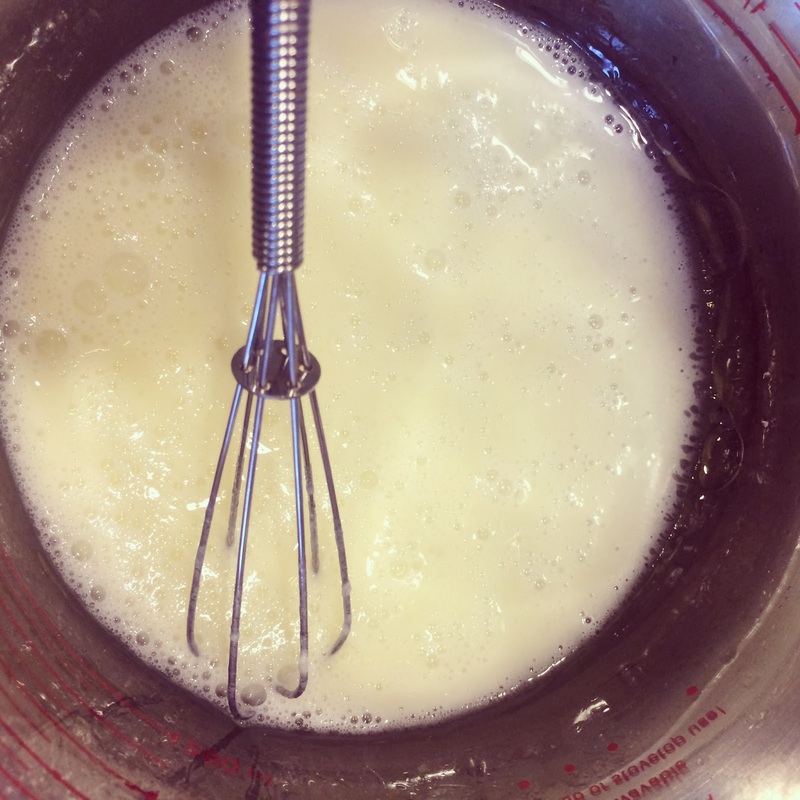 Continue to whisk to cool the cream and thicken it up. Once it has a rich and thick consistency, place a tight fitting lid on it and store it in the refrigerator for up to 30 days. This is a great cream for the blemish-prone back and chest too. 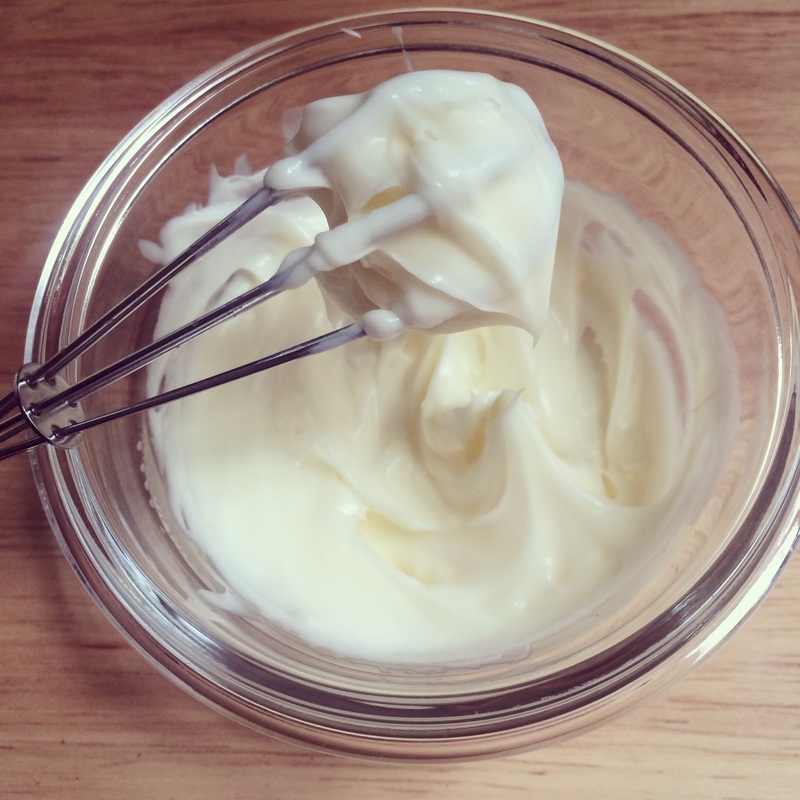 You will find most of the necessary ingredients to make this cream over at Mountain Rose Herbs.